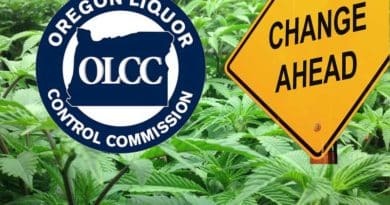 The Oregon Liquor Control Commission (OLCC) has issued a statement explaining why their are severe licensing delays in a long and rambling explanation issued by Executive Director Steve Marks. In the statement Marks admits the process is designed to have “a natural, systemic lag built into it” and that the rule making process prevents them from “innovating” their way out of the delays. 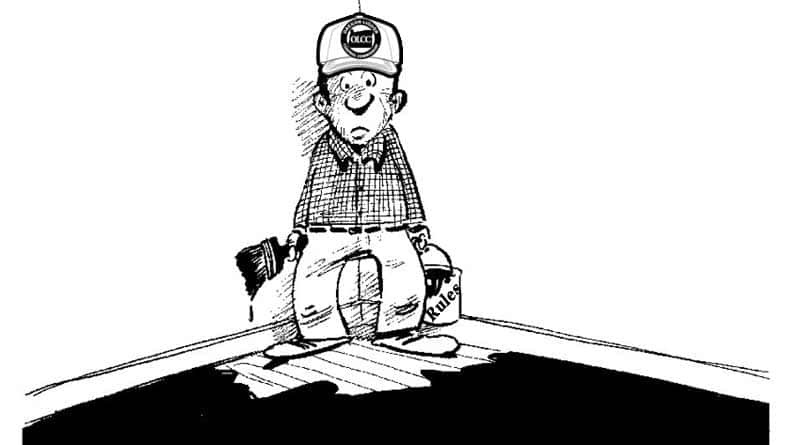 He also freely admits they severely underestimated the number of applicants they would receive for licenses as well as the time it would take to do inspections and approvals, especially on renewals. They currently have 2,210 unfinished applications which that were received before they put a pause on accepting applications in June. 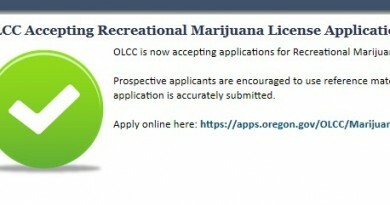 Since the Oregon Liquor Control Commission began issuing recreational marijuana licenses in April 2016 applicant interest has never diminished. You can see that reflected in the application data we publish on a daily basis. Earlier this summer our agency placed a pause on processing applications. Even before then the number of applications we had to get through was significant. The surge of applications we received right before the pause took effect on June 15 just multiplied the numbers. As a legal industry and as a regulated industry, the cannabis business is still immature. It has only been three years since commercialized cannabis emerged as a legitimate economic activity in Oregon, and the laws and rules governing its production and distribution are still catching up. Since legalization, during every regular and short session of Oregon’s legislature, lawmakers have made changes – a tweak here, an adjustment there, a major modification somewhere else. Then our agency’s rulemaking process follows (and the same for our sister agencies: Oregon Health Authority, Oregon Department of Agriculture, and the Oregon Department of Revenue.) It’s a process that comes with a natural, systemic lag built into it. The statutory and rules changes are improvements that will establish the long-term viability of Oregon’s cannabis industry. Incorporating these changes into a dynamic licensing process has brought unintended consequences and unforeseen challenges. Our ability to innovate our way out of this backlog is limited, but we continue to look for ways to improve and streamline our work in the near term, while developing systematic long term plans. In the second half of 2017, when we began renewing the licenses of existing licensees, we determined that the time it takes to complete a renewal is equivalent to about 80 percent of the time it takes to process a new license application. Again this can be attributed to the immaturity of OLCC processes and to the sudden confluence of an emerging industry suddenly buffeted by consolidation activity. Regardless our agency did not build this amount of workload into our initial staffing or workforce models. The merger and acquisition activity in Oregon’s cannabis industry has led to frequent ownership changes and continuous business structure modifications. Managing these changes is another staffing demand that often takes as much time as processing brand new applications. The OLCC currently considers processing business structure changes to be part of the licensing fee licensees pay for, and we do not charge a separate fee for this work. It is, however, one of many areas of uncompensated activity that is overwhelming the agency’s staff, which we are monitoring closely to ensure the agency is operating efficiently and effectively. So in practical terms what does this mean right now for existing licensees and new applicants? To handle the backlog of license renewals and business structure changes we’ve concentrated our staff resources to handle this activity; we have 11 investigators assigned to this work. At our current pace renewals for 2017 and 2018 licensees will take approximately 12 months. Business structure changes and ownership changes currently range from three to six months, depending on the complexity and volume. Applications received by June 15, 2018, which currently total 2,210 are expected to take at least 12-14 months to process. This timeframe may be longer for those new applications submitted just before OLCC’s pause went into effect (from June 1-15, 2018). The OLCC has two investigators assigned to this work. We will prioritize processing retailer, wholesaler, and processor applications ahead of producer applications. Our logic is straightforward. These application types take less time to process than producer applications which are more complex, and there are fewer of them to get through. In the meantime our agency has been assigned additional responsibilities, including incorporating larger medical marijuana grow sites into our Cannabis Tracking System, and expanding the entry points for hemp and hemp products to enter the OLCC regulated market. Some of this work we’re doing with additional resources, while the rest of it is being absorbed by the agency’s existing workforce. The processing of applications may appear to be proceeding at a glacial pace but I can tell you our team is operating at capacity. In addition to asking the legislature for additional staff to help with compliance and enforcement activity, we intend to seek more employees to support our marijuana licensing operations. If we obtain those resources it would be late 2019 before that assistance arrives. I don’t expect you find the information in this message surprising, but I hope it serves as a useful guidepost as you plan your business activity in the cannabis industry.